No matter what your age or background, everyone knows that feeling of dread and sheer panic when you press 'send' and wished you hadn't. Sixteen-year-old MC, already unsettled with her parents' separation, her dad moving in with his new, younger girlfriend and her mum starting to trawl through Tinder, has a major friendship crisis. Added to that, she's not invited to her best friend's biggest party of the year. MC is angry and reacts with actions that are ill thought-out and for a teenage girl, life-changing. Gabrielle Williams takes the reader on an anxious and hopeful ride to experience the ramifications when pressing 'send' reaches a whole new level of unbelievable, unimaginable consequences. Williams delivers a Young Adult novel about the complexity of teenage girls and their friendship group. A group that do everything together, who live their lives on social media and the fallout when there's a splinter in the group. A book about the torments of teenage life and how an emotion-filled rant never ends well. This is critically acclaimed author Williams' fourth YA novel and once again her talent shines. MC's voice and tone are perfectly portrayed, which makes reading this novel easy. The strength in the dialogue and characters keeps the plot flowing as the narrative is split into three sections, before, during and after. Once you read the first bit, you have to keep going, if anything to find out what happens which alters everything in MC's life. 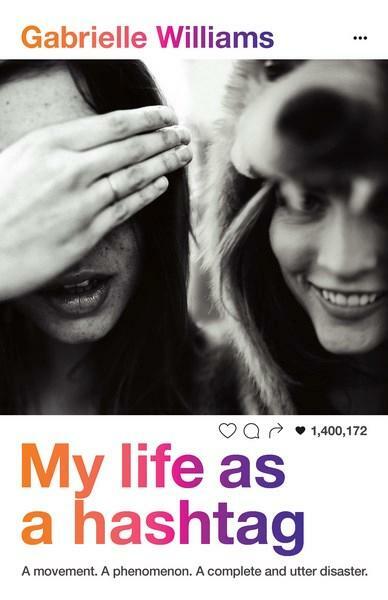 Written for every teenage girl who's ever experienced friendship issues in the social media-saturated world we live in and the consequences of not thinking before you press 'send'. A book that will resonate with all YA readers.